It’s the perfect time of year to abandon the chilly outdoors and stay inside catching up on the latest movie or TV show. But before you watch some of Hollywood’s biggest stars take on their new roles, such as Dakota Johnson learning how to be single in the Big Apple, make sure to read the books that inspired it all and judge for yourself just how well each adaptation lives up to its novelistic counterpart. Before the film adaptation hits theaters in August and people flock to see Zac Efron (hopefully) shirtless, get a head start on the hilarity and check out the entertaining book that inspired it all. After posting an ad on Craigslist for dates to their cousin’s wedding (which, for starters, included a picture of them dressed up as centaurs), brothers Mike and Dave Stangle became overnight internet celebrities and began a journey of comical misadventures. From stories about sexting and getting beaten up by a girl to deeper reflections on just what it means to mature, Mike and Dave Need Wedding Dates will keep you laughing from beginning to end. Who wouldn’t go back in time to their twenties if they had the choice? Check out Pamela Redmond Satran’s hit novel Younger to see what happens when Alice, a 44-year-old divorcee trying to make ends meet, does exactly that and fudges her age in order to get a new job. Prepare for hilarious misunderstandings between different generations as Alice learns just what it means to become younger. 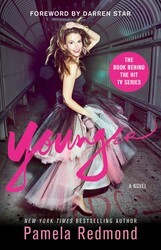 Once you’ve finished the book, move on to the hit TV show with Sutton Foster, Debi Mazar, and Hillary Duff. On its way to becoming a limited show for Hulu, 11/22/63 has everything needed to keep you engrossed in its pages, including time travel, murder, Elvis, and more. When high school English teacher Jake Epping goes back in time to prevent the assassination of John F. Kennedy, he is happily surprised by the quaintness of life in Jodie, Texas. Of course, life soon becomes complicated as Jake rushes to stop one of the most monumental moments of American history from unfolding. 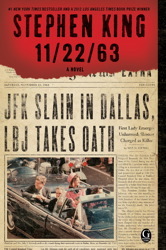 With guaranteed moments of heart-racing suspense and the question of how much one action can alter the future, 11/22/63 remains a novel you won’t be able to put down. What’s a girl to do when her husband leaves her for a Samba teacher? For Georgia, the answer is simple: force your friend Julie Jenson into throwing a girl’s night to remind you of just what it means to be single once again. However, the night’s events shock the perpetually single Julie, and soon she quits her job as a book publicist to travel the world in search of just what it means to be, well, single. Find out for yourself what love means today in Liz Tuccillo’s novel before checking out the hit film adaption that features Dakota Johnson, Rebel Wilson, Allison Brie, and Leslie Mann. Brush up on your knowledge of the World of Warcraft universe in preparation for the summer blockbuster World of Warcraft by checking out the book series. 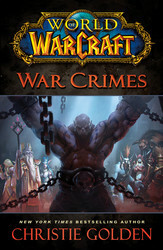 Christie Golden’s latest installment, War Crimes, follows the trial of former war chief Garrosh Hellscream and the countless lives that he destroyed while on a quest for total power. Just as justice seems to be on the horizon, dark forces start to gather in Azeroth, and now more than just the trial are at hand as lives soon are put on the line. 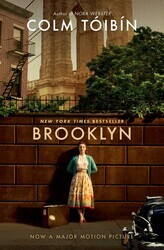 Brooklyn may have come out late last year, but with the Oscars coming up it’s the perfect time to pick up the award-winning book by Colm Tóibín that inspired the Best Picture-nominated film. You won’t be able to resist falling in love with protagonist Ellis Lacey and her bravery as she leaves her Irish homeland in hopes of a better life across the Atlantic. Adjusting to life in America during the early 1950s, Ellis wrestles with the challenges that come from entering a new culture and maintaining two different identities at once. And once she meets a sweet Italian boy named Tony, you’ll be hooked until the end. With the new trailer making headlines, Me Before You has become one of the most buzzed-about love stories of the year. Jojo Moyes’s novel details the devastating romance between Louise Clark and Will Traynor, starting from the beginning when Louise accepts a job as caretaker for Will, a wealthy man who used to rule the world but became paralyzed after a tragic accident and went into seclusion. As Louise falls in love with Will, the overwhelming question becomes: How do you love someone who doesn’t want to live? Warning: you will need multiple tissues to get through this book, so make sure to stock up ahead of time. I’ll be reading Me Before You soonish. And I LOVED Younger! Just saw the trailer at “How to Be Single” (listen to our latest podcast to hear how we liked that one), and now it’s on my TBR pile too! 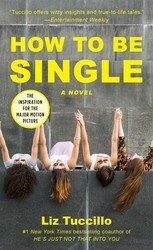 I didn’t know How to be Single was a book! I’ll definitely need to read this book! I didn’t know that “How to be Single” was a book. I am going to have to check that out. I loved “Younger” and “Me Before You”. I hear HTBS is very different from the movie–let us know what you think!